Triangle lives in a triangle home with a triangular door. One day Triangle decides he wants to play a sneaky trick on Square, so he sets off to Square’s house. He walks past a forest of small, medium and big triangles until he reaches the Square neighbourhood where he sees squares of all sizes. When Triangle reaches Square’s house, he finally gets to play the sneaky trick that he has been planning all along. How will Square react? And will Square try to play a sneaky trick on Triangle too? 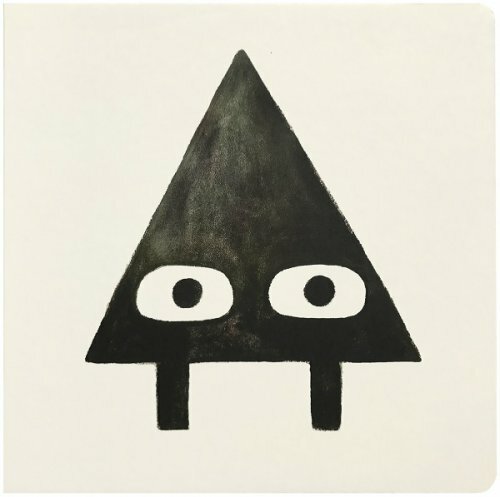 Triangle’s minimalistic and dark illustrations make it a unique children’s book. The illustrations provide plenty to talk about, including teaching shapes and size concepts (i.e. small, medium, big). The language used throughout the story is quite simple, making it perfect for modelling grammatical elements such as regular past tense verbs and regular plural nouns. There are many opportunities to make predictions and draw inferences throughout the story. For example: What sneaky trick might Triangle play on his friend? What will Square do to try and get Triangle back? Why did Triangle decide to play a trick on Square? Did Square know that Triangle was afraid of the dark? What will happen after Square plays his trick on Triangle? For further speech and language targets in Triangle, see the list below.